“Acting to stop the bloodshed in Syria should be the number one priority on your list,” European Parliament President Martin Schulz told EU leaders on 20 October at the start of a two-day EU summit. “The European Parliament calls for consequences and accountability for those guilty of committing war crimes and crimes against humanity,” he added. In addition to EU-RUssia relations, the Council summit is also dedicated to trade issues, migration and Brexit. “Russia is the one maintaining the painful status quo," Schulz said referring to the situation in both Syria and in Ukraine. “Implementation of the sanctions policy is a matter for all EU institutions and a test of their credibility,” he said. With EU countries considering to sign the Comprehensive Economic Trade Agreement (CETA) this month, Schulz said the free trade agreement with Canada could be "the standard for ongoing and upcoming talks with our partners around the world”. The President acknowledged that many people were concerned about trade agreements, but said: “I am convinced that Europeans do not fear free trade: they fear unfair trade.”He then added: “It is our duty to allay those fears and to show European citizens that we can shape globalisation and not be overwhelmed by it." 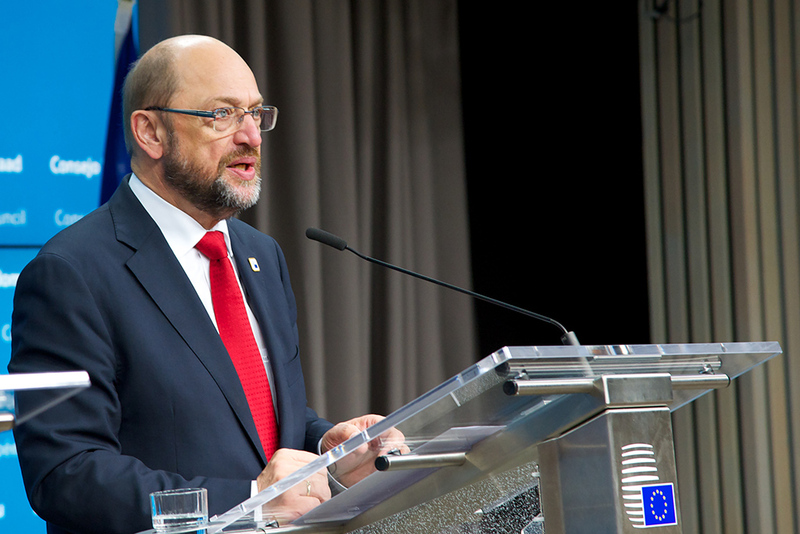 Concerning trade policies, Schulz warned: “Member states which have voted unanimously in favour of a given mandate for trade negotiations should not hide behind the Union or the Commission. They should on the contrary agree to systematically publish these mandates." Schulz said there could be no negotiations on Brexit before the UK had invoked article 50: “The EU needs to find a model whereby Brexit, rather than being a permanent distraction, is instead used as the catalyst for a reform process." Speaking about the migration crisis, the President welcomed the launch of the European border and coastguard earlier this month. However, he added: “There is certainly no reason to congratulate ourselves on the results achieved by the EU."